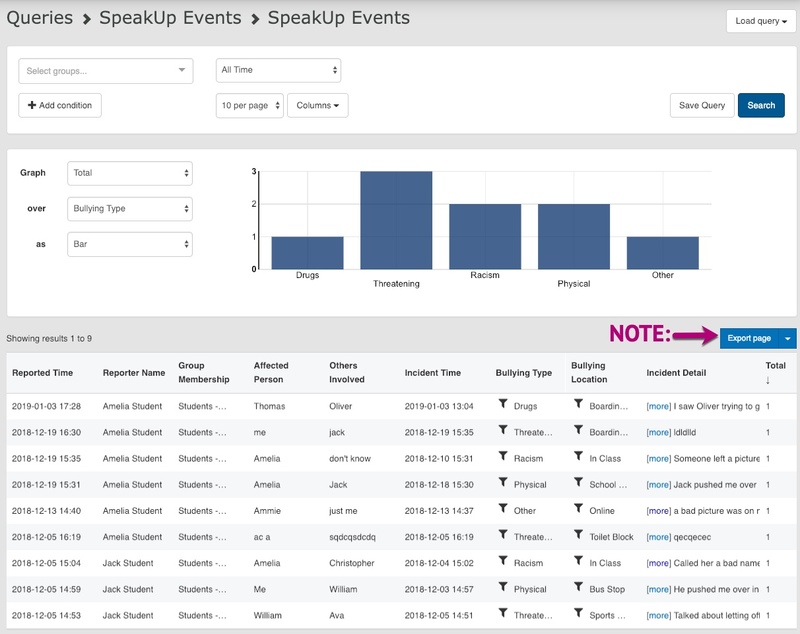 SpeakUp is available within the LiveZone portal allowing students to privately share concerns or incidents. 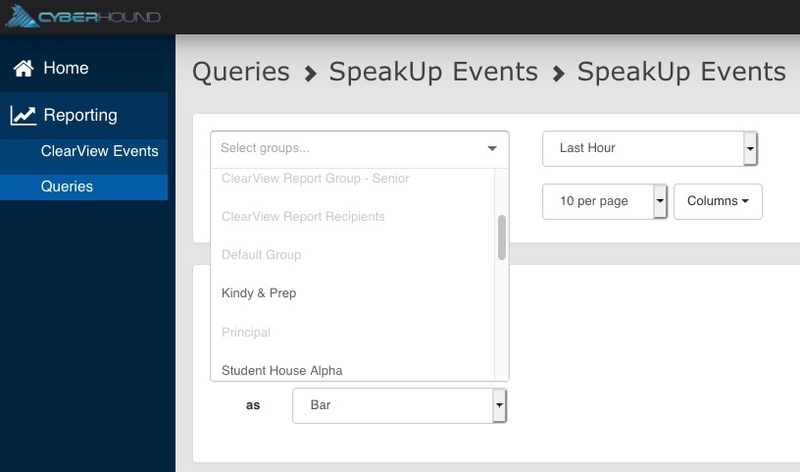 Users with access to SpeakUp are presented with options to select, which helps to provide key information clearly and offers fields to say it in their own words. These concerns are then provided to the leadership team via an instant email alert or scheduled report. 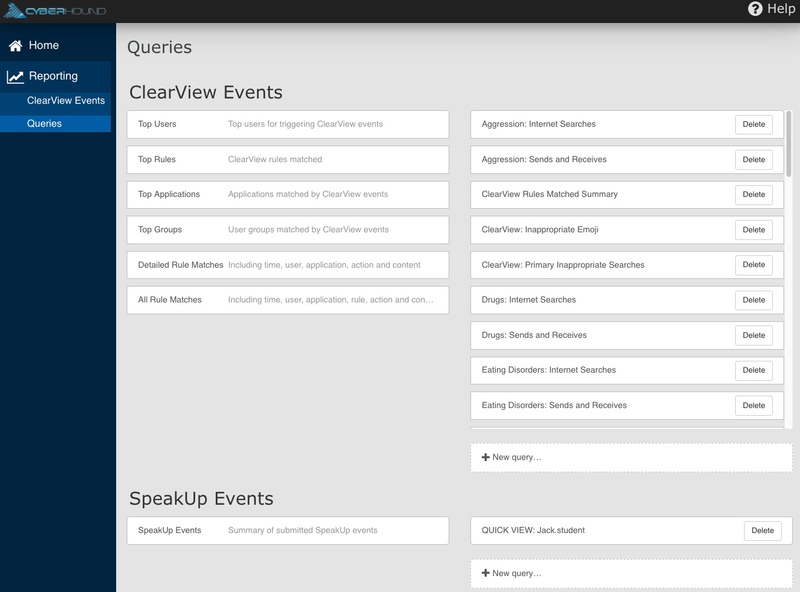 Configuration of the LiveZone profiles to enable SpeakUp and options for alerts and/or reporting of incidents. Provide access permissions for leadership team to view real-time data. A Profile is required for students and consideration should be given to how many student profiles are required to allow reporting to the appropriate persons responsible. e.g. 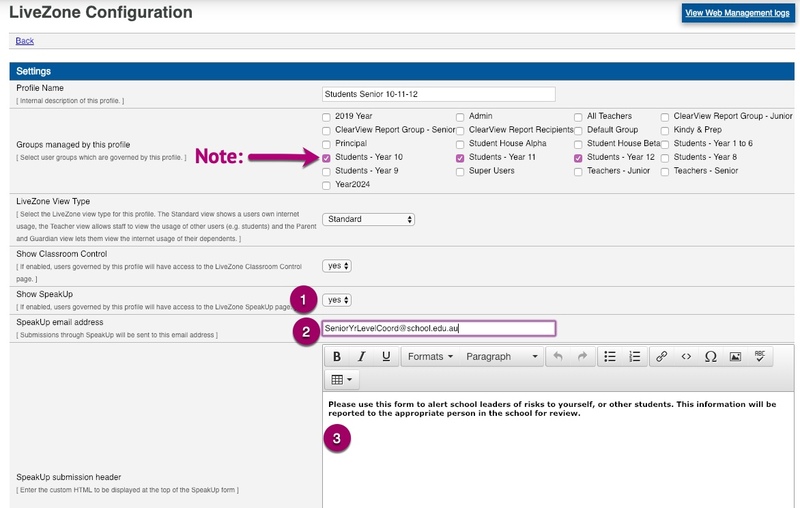 A profile for each student cohort or House group provides opportunity to deliver alerts to specific staff members. If you need to create a new Student Profile – select ‘Add New Profile’. (refer to the LiveZone Sys Admin Info Sheet for profile configuration available on the CyberHound website Knowledge Base). The following information is only covering the new SpeakUp fields within the profile. Enable – the default is ‘No’, select ‘Yes’ to enable and have the icon visible in the sidebar navigation pane in LiveZone. If NO is left as is, the icon will NOT be visible. NOTE: Create more profiles for each student group if you require emails for different cohort areas of responsibility. e.g. 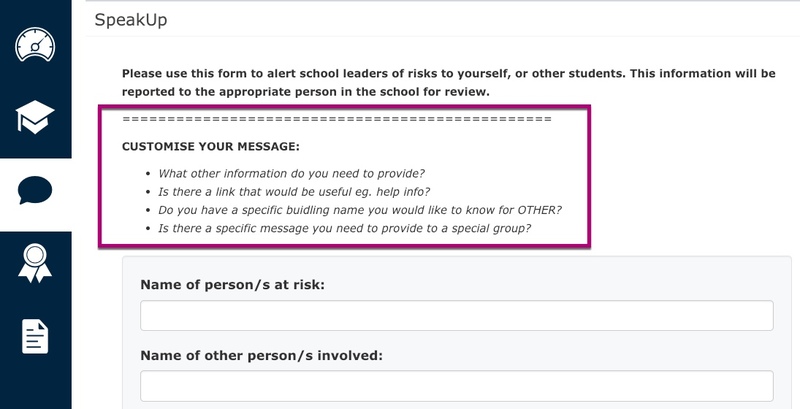 SeniorYrLevelCoord@school.edu.au email address for incidents only reported by Senior students requires a profile with only relevant ‘Groups managed by this profile’ selected. If NO email address is entered, incidents submitted can be delivered via reporting the following day or as per the report schedule requires. 3. Submission Header – change or add to the default message on the header of the form (see below). Once settings have been completed click ‘Update’ and continue to the next profile to set up and once all profiles have been completed ‘Apply changes’ to enable end user to view. 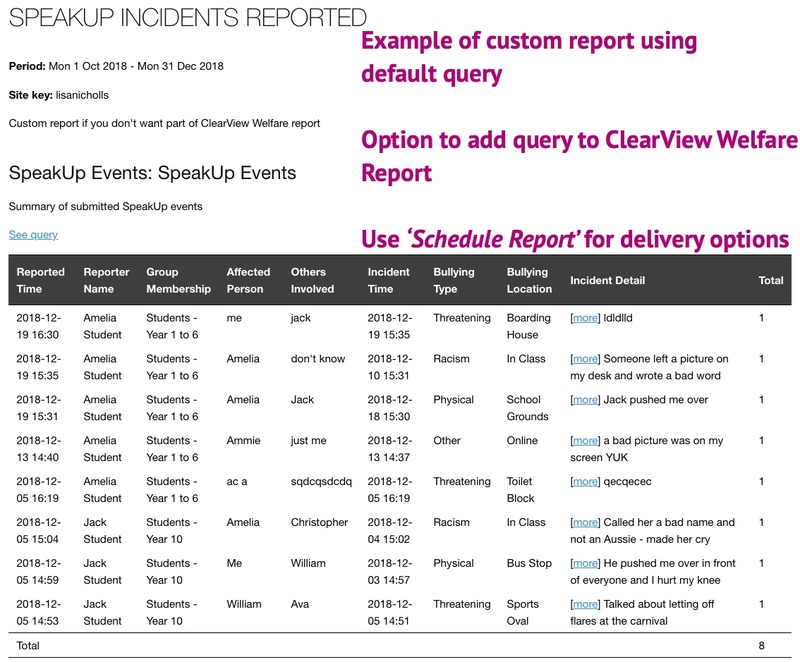 All incidents submitted are captured in the SpeakUp data source and queries provide access to investigate further or use queries to add to a report or design a new report. A default query is available and can simply be added to the ClearView Welfare Report or used to build a new report if the results are required for different email recipients. Create a custom query for specific details. e.g. create and save on one or more users to add to a report for specific monitoring. The default query contains columns with all the details of each incident submitted. NOTE: Modify the data to relevant results and use ‘Export page’ if you require details to be kept on file for future reference and/or history before the 365 days data retention expires. Useful if only on one user to add their student information system before history is removed. When the option to have incidents reported via email is set up in the profile, a message will be delivered for every individual submission. The email recipient will require data source permission to be able to view the details. When they click on ‘here’ they will be redirected to log into the CyberHound Appliance to view the incident details in the query. 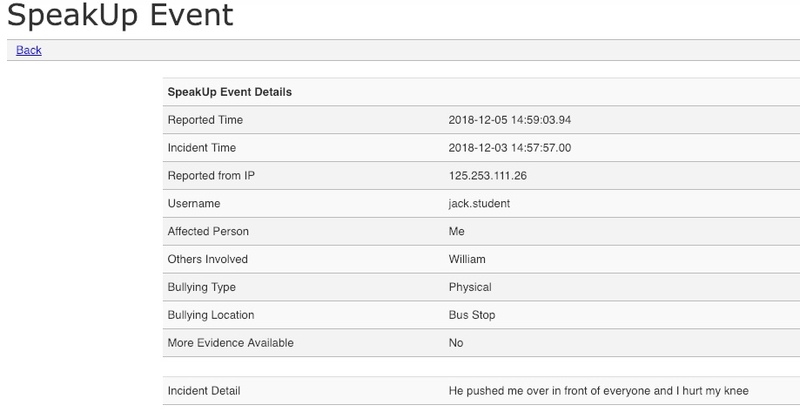 The following example demonstrates access for a group of users who would be able to log into the CyberHound appliance and view query results for both ClearView Events and SpeakUp Events but have been excluded to view any data on all their work colleagues. NOTE: If you only want a Group to have access to view data for Senior students only, simply add all the other student groups to this exclusion field. Example of user interface where data source permission is granted as per above settings. Example of user interface data accessibility. Only those user groups that were NOT excluded can be accessed. The excluded groups are greyed out and results cannot be accessed. NOTE: The sidebar navigation pane is also restricted to only view the two data sources.